According to the American Diabetes Associations, 33% of people with diabetes will develop skin problems at some point in their lives. In fact, some skin issues may be the first warning signs of diabetes. The good news is that most skin conditions can be treated easily, if they’re caught early. With the application of compounding creams, diabetic blisters can be successfully treated with a few quick applications daily. Typically blisters develop in patients with long-standing diabetes. Roughly ½ of the diabetic population in the U.S. are affected. According to the American Diabetic Association, candida albicans is one of the major causes of diabetic blisters. 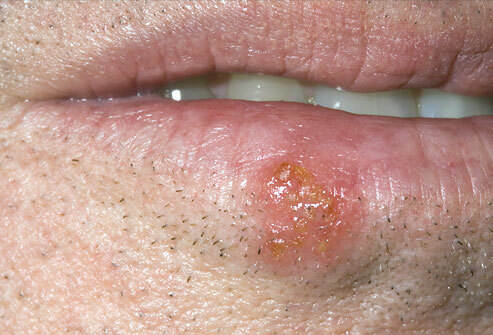 This yeast-like fungus can create itchy rashes of moist, red areas surrounded by tiny blisters and scales. It often occurs in warm, moist folds of the skin. Another major cause of skin blisters among diabetics is bullosis diabeticorum. This unique, non-inflammatory blistering condition is exclusive to patients with diabetes mellitus. The bullae ( fluid-filled sacs or lesions ) are usually located on acral skin surfaces. Having diabetic neuropathy puts you at a higher risk of developing these “burn-like” blisters. Unlike other common blisters, diabetic blisters are large in size, asymmetrically shaped and contain a clear liquid. The blisters are almost always completely painless. Others may experience a burning sensation or slight discomfort. Some blisters may even appear following a fungal infection. If you would like more information on diabetic blister treatments, please read Custom Compounding For Chronic Pain Finally Uncovered. The condition usually affects those between the ages of 17 – 84. The cause of the disease is unknown. It is however linked to nerve damage, blood vessel damage or dehydration from chronic high blood glucose. Male patients also have twice the risk of developing diabetic blisters compared to their female counterparts. Can you imagine what it would be like if you could live blister free? New compound creams can help you achieve a blister free future in just 3 short minutes a day! Pharmacy compounding is the art and science of preparing unique, customized medications for patients. Its practice dates back to the origins of pharmacy. Before the 1940’s almost all prescriptions were compounded by community pharmacists, but since then major corporations with corporate funding have moved in. Today, compounding is still the preferred treatment method for so many patients because it does not conform to the “one-size-fits-all” theory. Customized compound creams have been around for years, but with new technology they are becoming even more popular. 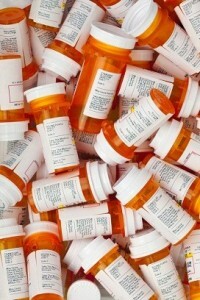 Roughly 3% of all prescription drugs in the U.S. today is provided through compounding. While diabetic blisters typically heal spontaneously within 2-6 weeks, they can recur on the same or different location. Secondary infections may also develop as a result of diabetic blisters. With the help of specially created compound cream, there is no need to worry about diabetic blisters. These uniquely formulated topical creams are the future in pain management! A customized cream is made to order from your pharmacist, who will tailor-make a pain cream from scratch JUST FOR YOU! Compound creams are applied directly to the affected area and will work almost immediately. Do not break the blister. Try to protect the area. Simply rub your topical lotion on the painful area for 3 minutes, 2 – 4 times a day. Do keep in mind that blood glucose level regulation plays a central role in the development and treatment of diabetic blisters. Latest studies suggest that the use of compounded medication has resulted in a positive outcome for patients suffering from diabetic wounds. Western medicine does not meet the specific needs of most patients, and therefore compound creams are ideal. One tub of compound cream can replace ALL of your other medication. No need to swallow pill after pill anymore! Because the medication comes in the form of a transdermal cream, it prevents side effects and promotes localized pain treatment. The ability to create a personalized medication allows compounding pharmacists to help patients with a wide array of needs. 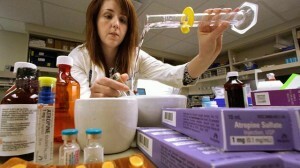 A compounding pharmacist can even re-create medication which has been discontinued. There are numerous types of custom compounded medications which can be used to aid in the treatment of many different types of wounds. Wound care application is crucial when it comes to effective treatment. Proper wound care will determine the quality of life of the patient. Compounding creams changes the way we approach everyday treatment and serves to offer the BEST care available during these uncertain times we live in. Please read The Secret to Pain Free Life with Custom Compounding if you would like more information on diabetic blister treatments.